Content about loan services at the Credit Union. Interested in applying for a loan? Talk to a representive today. Call 330-929-7341 or email us at fallsccu@fallsccu.com. Under certain circumstances, fees may apply. 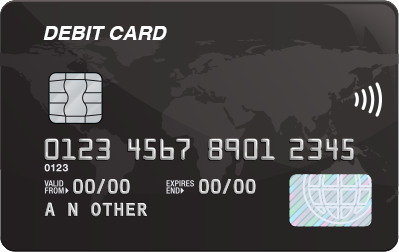 TO REPORT A LOST OR STOLEN VISA DEBIT CARD AFTER BUSINESS HOURS, CALL 1-800-383-8000. DURING BUSINESS HOURS, WE WILL BE HAPPY TO HELP YOU. This service offers you greater security and allows you to earn dividends on your money sooner. You can arrange to have your net pay, benefit and retirement checks from Social Security, Civil Service, Railroad and Military directly deposited into your credit union account. For more information, visit directdeposit.org. Money Orders can be purchased for $1.00 each. Payroll Deduction allows you to send a specified amount of your paycheck to Falls Catholic Credit Union. (If you want to deposit your entire paycheck, you are interested in Direct Deposit, not Payroll Deduction.) Payroll Deduction is a time-saving service that gives you the opportunity to make deposits and loan payments without having to come in, write a check or buy a stamp. Can’t get to the credit union? No problem. Mail your deposit or loan payment to our office, and we’ll post it as soon as it arrives. Can’t get here during office hours? There’s a night depository slot just outside our door and we post all deposits and payments first thing in the morning every business day. We can wire money to anywhere you have an account (in the United States) and the money can be there the same day. Under certain circumstances, fees may apply. If the incoming wire is for your share/savings account, please use the account number on your membership card or statement. If the incoming wire is for your share draft/checking account, please use the account number printed on your share drafts/checks.